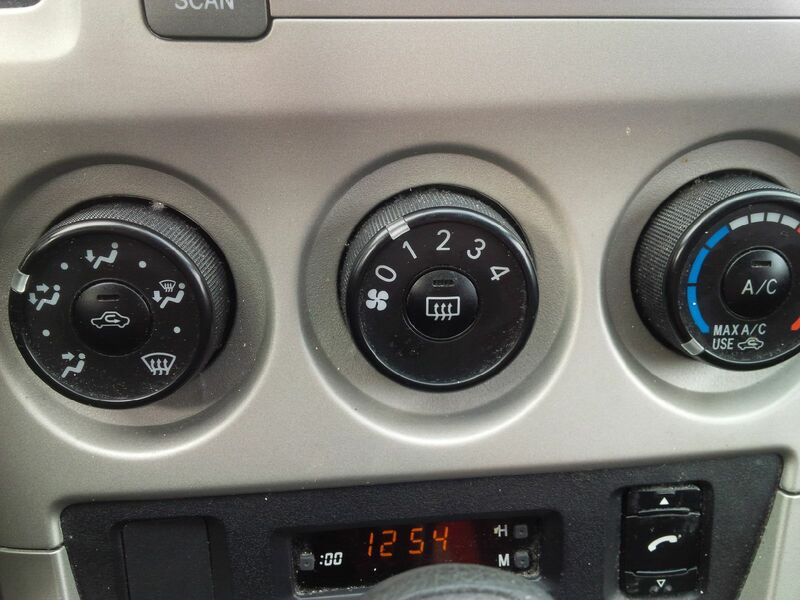 Check out the white setting‎ indicators. Sigh of bliss. All vents open, no heat and no AC, with a low fan running. Temperature outside of and inside my car is a jacket-less 64 degrees. It's cloudy today, but yesterday was the same with the addition of sunshine. I know. It's winter. It's only February. But this is a welcome slice of "ahhhhh."